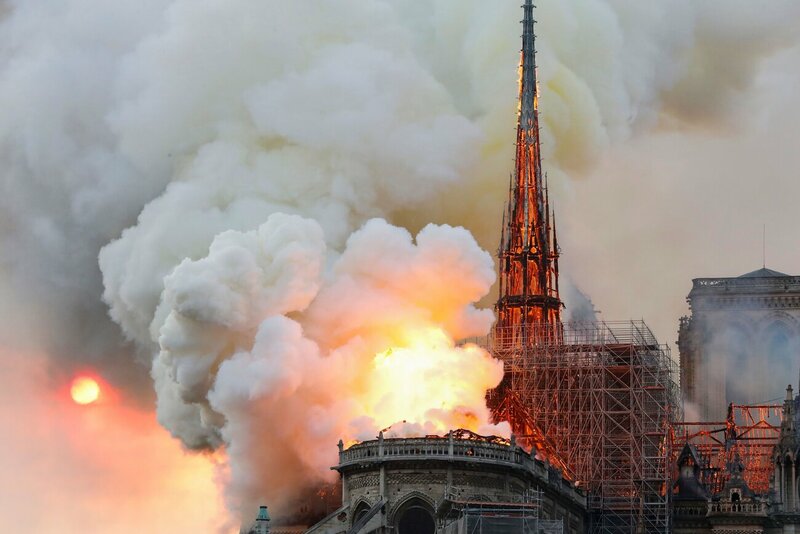 The 800 year old cathedral was engulfed in flames today for 8 hours. The spire collapsed, but its towers at the end still stand. Most of the artwork and relics were saved, and promises are being made to rebuild and restore it. The cause is unknown at this time. The roof ... The roof ... The roof is on fire. It's surprisingly heartbreaking, given that I have been to Paris, and had the chance to go inside Notre Dame Cathedral, and at the time I felt no inclination whatsoever to do so. Obviously I must not have cared about seeing it, and yet now that I never will (they say they'll rebuild it, but I doubt it will be the same), I spent most of yesterday evening feeling absolutely devastated. Phenomenally, nobody died. A French fireman was injured, but no deaths is a tremendous stroke of good fortune for such an otherwise harrowing disaster. I even felt brave enough to try to start a #jesuisquasimodo hashtag, to no avail. Pedgerow wrote: Obviously I must not have cared about seeing it, and yet now that I never will (they say they'll rebuild it, but I doubt it will be the same), I spent most of yesterday evening feeling absolutely devastated. 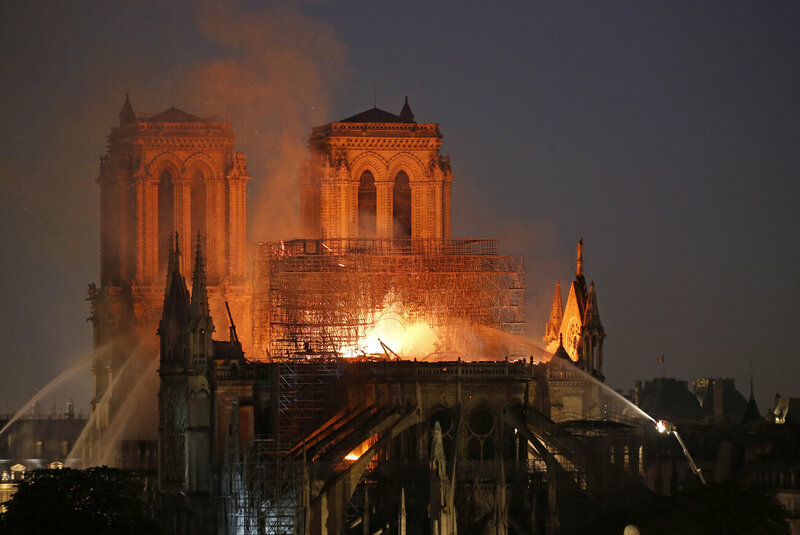 From what I understand, the roof (~800 years old) will have to rebuilt and the spire is obviously lost, but the rest of the architecture is essentially intact. All the art and artifacts were preserved. Apart from some new furniture, I doubt the experience for visitors will be much different once the restoration is finished. Yeah, that picture at the bottom of Jamish's post was taken after the fire was under control, and you may notice the pews, the cross, the fixtures, the altar, and of course all the stonework is still there. Apparently the stone vaulting underneath the wooden roof mostly protected the interior, and contrary to early reporting the rose windows survived. So the damage really was surprisingly limited to the roof and the spire. Moreover, if you look at that photo again you can see the cross and altar are kinda lit up by the floodlight, which looks like it's shining God's light down from Heaven on the scene. So naturally a lot of folks have been calling this a miracle from God. PS: A site set up to receive donations to help fund the renovations crashed today as people flooded the site to help fund the rebuilding. Crimson847 wrote: Apparently the stone vaulting underneath the wooden roof mostly protected the interior. I've read that that's what it was designed for, as medieval architects knew that church roofs were very vulnerable to fires. Kinda cool that they had fire safety standards (after a fashion) 850 years ago. The cathedral was recently digitally mapped by lasers, inside and out, as part of an architectural history project, which is both cool in its own right and obviously a boon to restoration efforts. I wonder if the future of tourism is visiting digitally mapped monuments in virtual reality instead of buying a ticket to Paris. I've been seeing a lot of whataboutisms on my Facebook feed regarding the Notre Dame fire. People saying it's "just a building" and there are worse problems like the extinction or turtles and climate change. It's very disheartening. What about cathedral builders? They're an endangered species ya know. Bromo wrote: I've been seeing a lot of whataboutisms on my Facebook feed regarding the Notre Dame fire. People saying it's "just a building" and there are worse problems like the extinction or turtles and climate change. It's very disheartening. That's human nature. "Sure, the pyramids have been pyramids for an awful long time, but what have they done for me lately? Like them black holes and planets and whatnot. Let's get a bit more terrestrial in our thinking, like the amphibians, them real-people problems, and a sack of coal is something that isn't all "theoretical", and you know, don't call me auntie progress, progress is great, and such, but... a sack of coal keeps me warm, so do that more, ya dumb idiots in government"
Yup - the billionaires are falling over one another to shove money into the holes, because they are patriots! 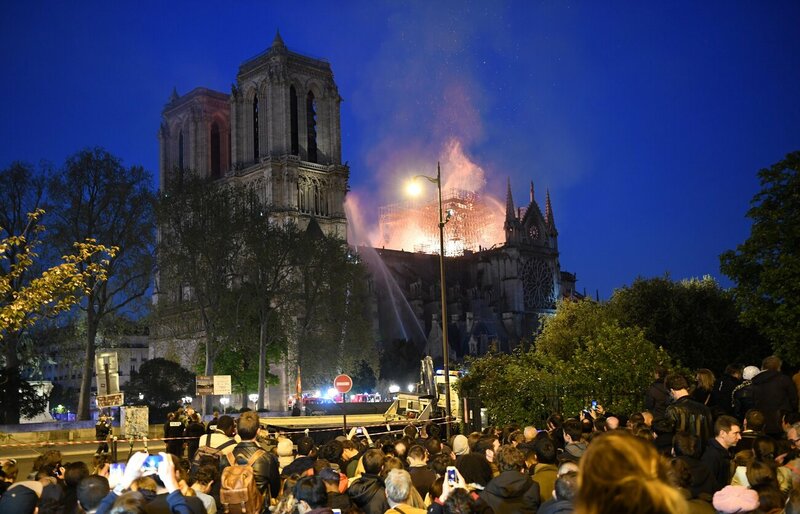 Critics argue the donations meant to repair Notre Dame would be better spent on social programs to help the poor in a country where rising inequality has contributed to the outbreak of recent street protests. That is crazy talk. Obviously, these people are happy to open their gigantic wallets for the greater good. Whatever... and, meh - well - go get 'em, turtle people! A quantum state of signature may or may not be here... you just ruined it. I get the concern that the money could be better used elsewhere. However, it's difficult to calculate the long term benefit of a good deed, any good deed, because one tends to inspire more.